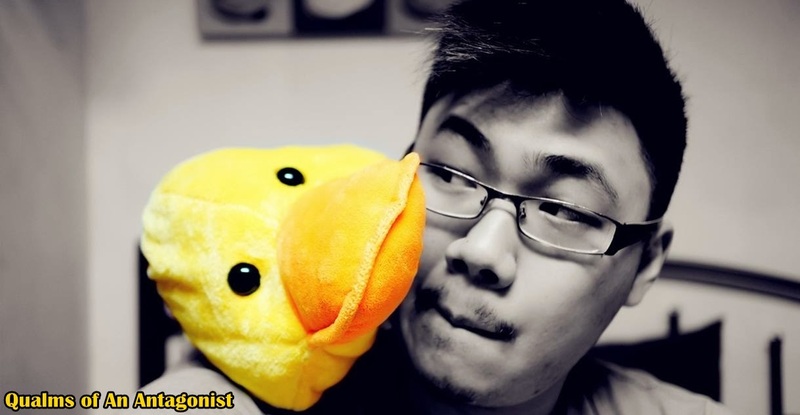 First I'd like to wish all of you happy Dongzhi / Winter Solstice. Traditionally, the Dongzhi Festival is also a time for the family to get together. 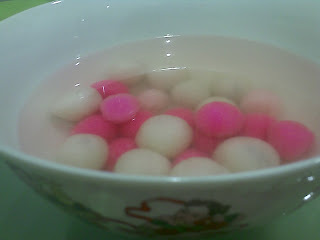 One activity that occurs during these get togethers (especially in the southern parts of China and in Chinese communities overseas) is the making and eating of Tangyuan (湯圓, Cantonese jyutping: tong1 jyun2; Mandarin Pinyin: Tāng Yuán) or balls of glutinuous rice, which symbolize reunion. 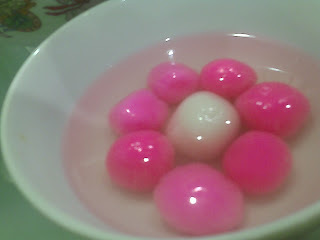 Tangyuan are made of glutinuous rice flour and sometimes brightly coloured. 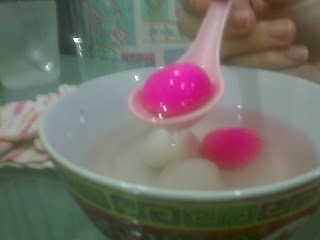 Each family member receives at least one large Tang Yuan in addition to several small ones. The flour balls may be plain or stuffed. They are cooked in a sweet soup or savoury broth with both the ball and the soup/broth served in one bowl. So I made these at my gf's house today. The white ones are choc filled while the red/pink ones are sugar filled. P.S the small round and cute ones are made by me while the big and distorted ones are made by her.